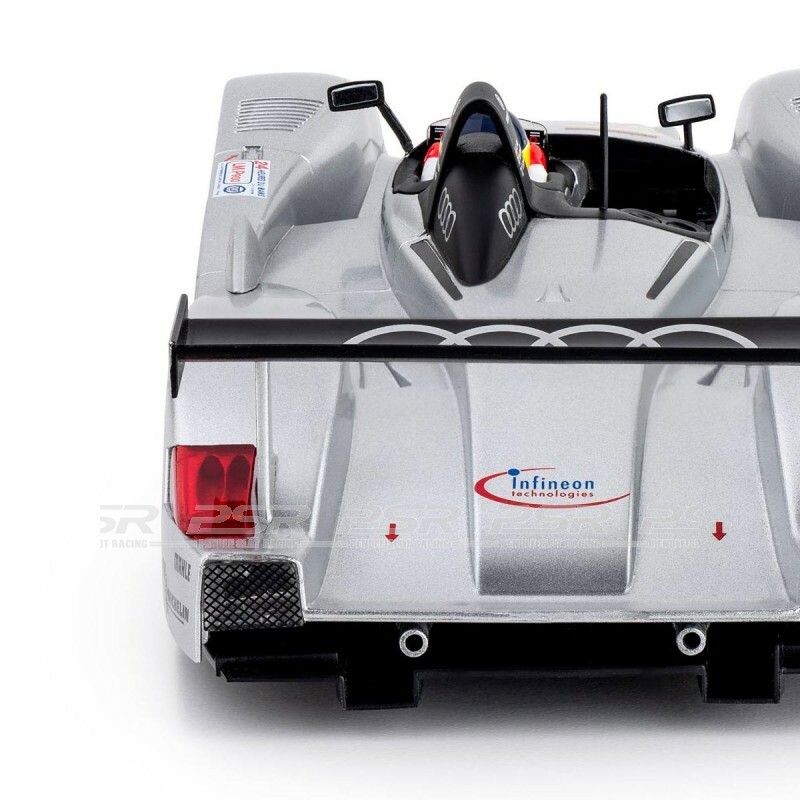 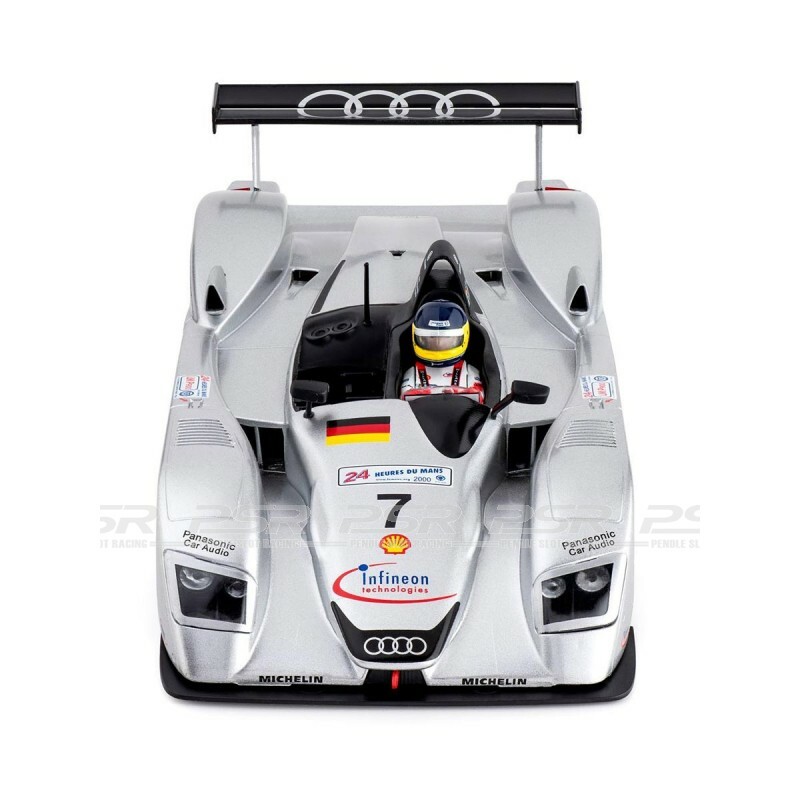 Slot.it Audi R8 LMP No.7, 3rd Le Mans 2000 - Christian Abt, Michele Alboreto and Rinaldo Capello. 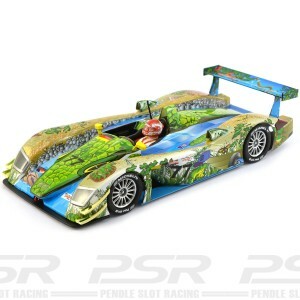 Ready to race 1/32 slot car compatible on most major track systems such as Scalextric. 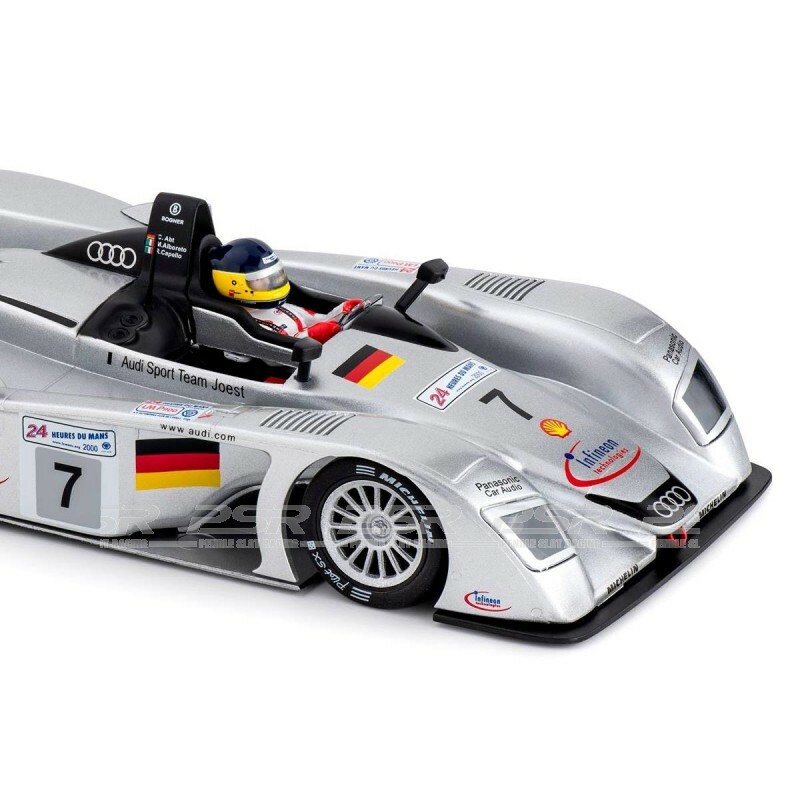 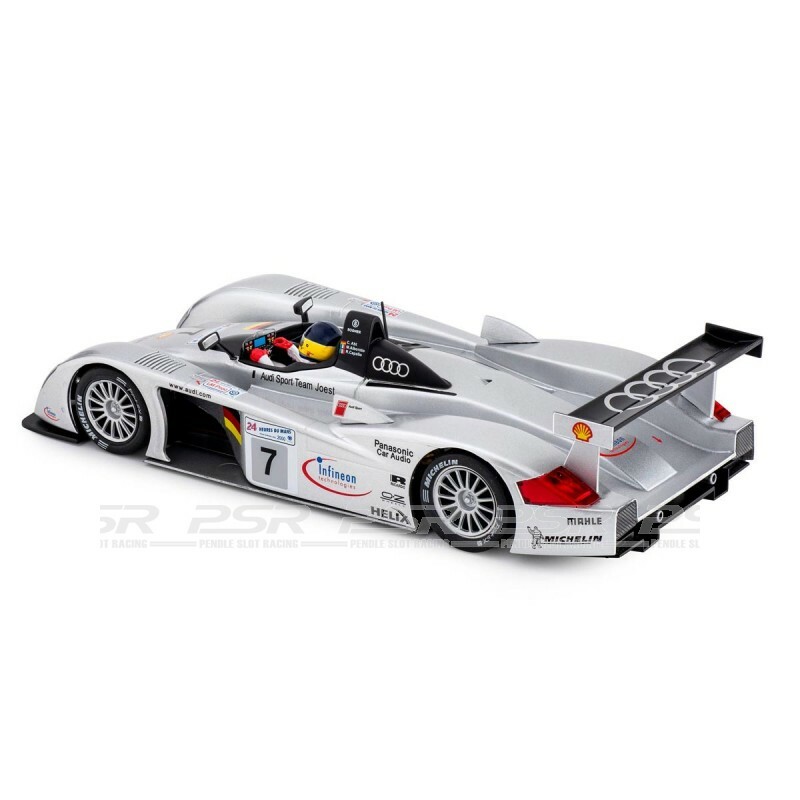 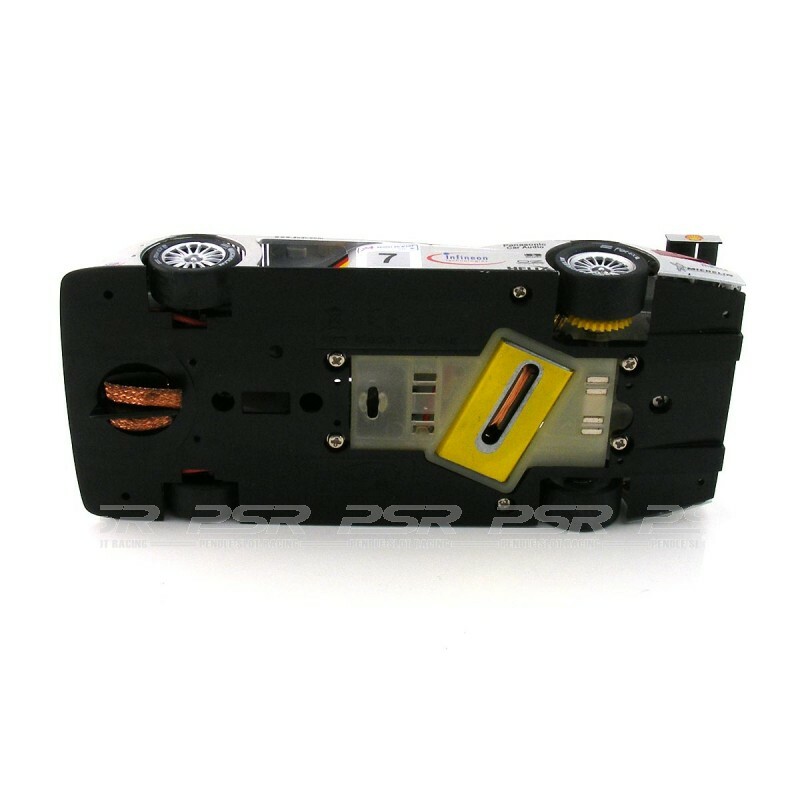 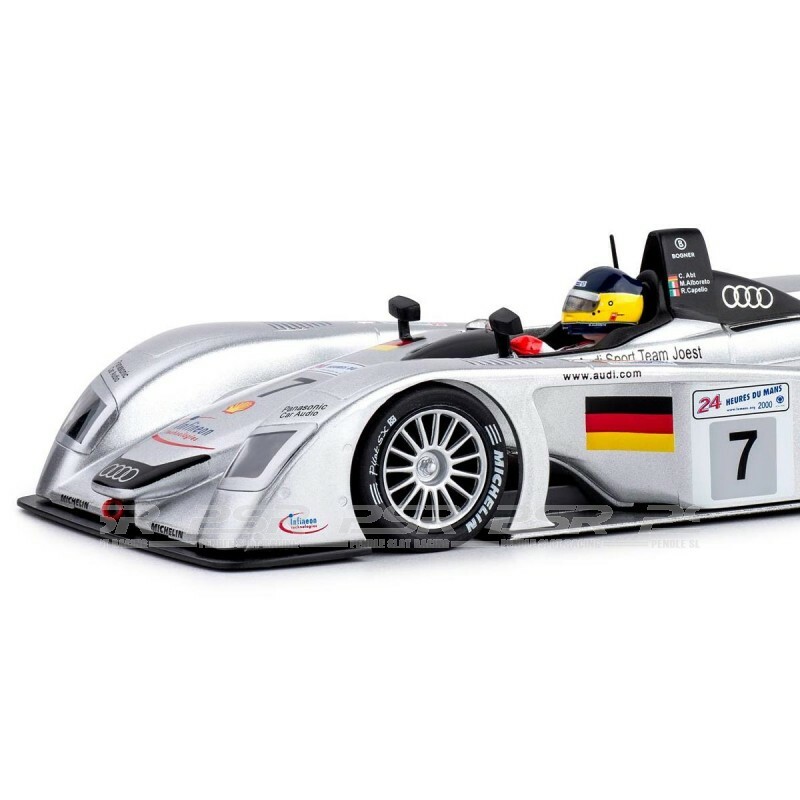 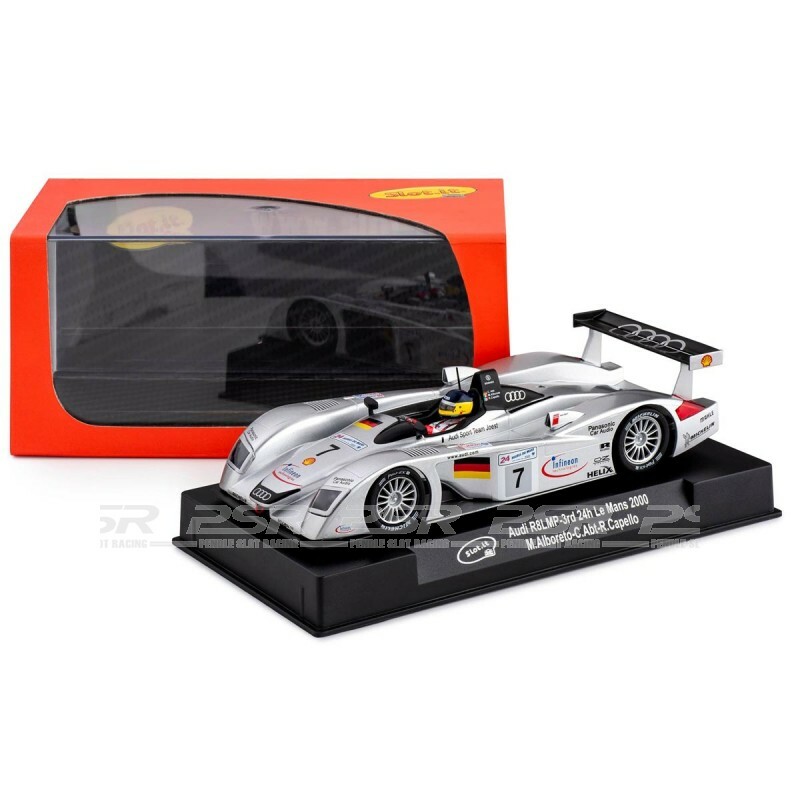 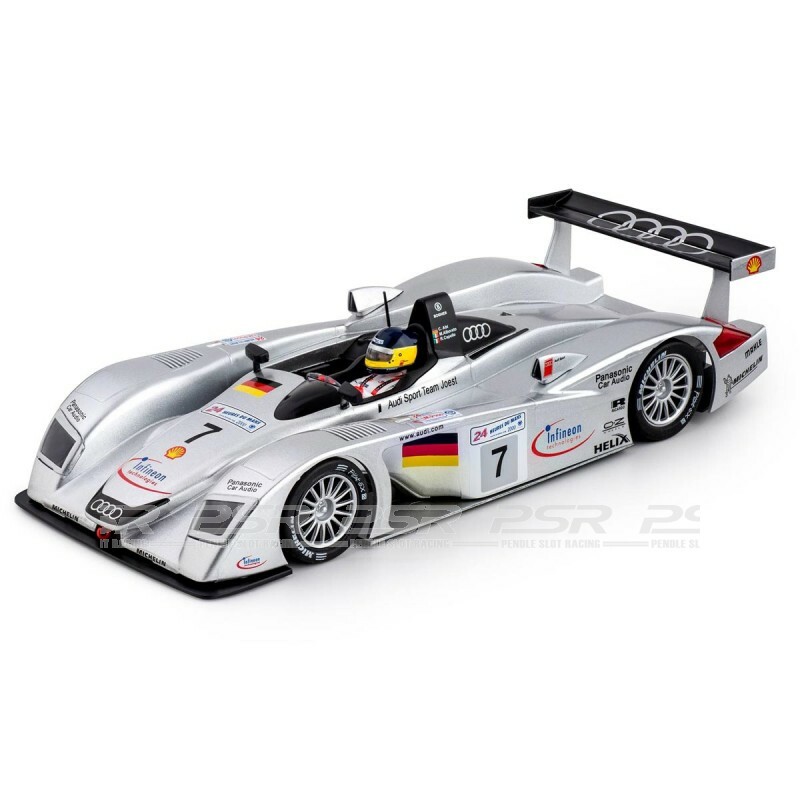 This model is fitted with high quality racing parts with the ability to easily change the car setup and configuration by using the range of tuning parts from Slot.it.